Annajane Hudgens truly believes she is over her ex-husband, Mason Bayless. They’ve been divorced for four years, she’s engaged to a new, terrific guy, and she’s ready to leave the small town where she and Mason had so much history. She is so over Mason that she has absolutely no problem attending his wedding to the beautiful, intelligent, delightful Celia. But when fate intervenes and the wedding is called to a halt as the bride is literally walking down the aisle, Annajane begins to realize that maybe she’s been given a second chance. 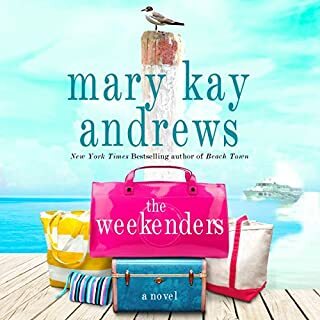 Not The same Mary Kay Andrews I'm used to! Eloise Foley, known to her friends as Weezie, has been through the divorce from hell. Her ex-husband Tal (aka Talmadge Evans III) was awarded their house in Savannah's historic district, the house that Weezie had spent years painstakingly restoring to its original splendor. Weezie was awarded the two-bedroom carriage house on the same property. Each was sure the other would sell. Southern belle BeBe Loudermilk has lost all her worldly possessions, thanks to a brief but disastrous relationship with the gorgeous Reddy, an "investment counselor" who turns out to be a con man. All that's left is a ramshackle 1950s motel on Tybee Island, an eccentric beach town that calls itself a drinking village with a fishing problem. Keeley Murdock's wedding to A.J. Jernigan should have been the social event of the season. But when she catches her fiance doing the deed with her maid of honor at the country club rehearsal dinner, all bets are off. And so is the wedding. Keeley pitches the hissy fit of the century, earning herself instant notoriety in the small town of Madison, Georgia. While renowned designer Margaux Sullivan was presenting her highly praised collection during New York City's Fashion Week, her husband was cleaning out their bank account. A week after he disappeared, the bank foreclosed on Margaux's apartment and business. 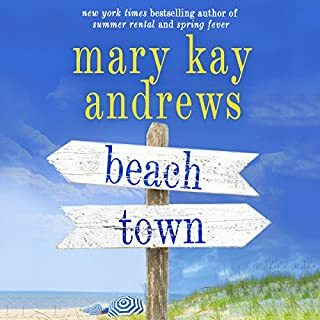 Suddenly broke, betrayed, and humiliated, Margaux has nowhere else to turn to but home: the small coastal town of Crescent Cove, Connecticut, where she once knew love, joy, and family before she put them behind her on the climb to fame. 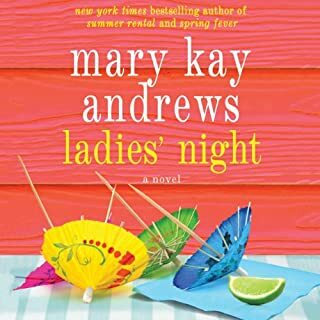 I love Mary Kay Andrews' books in general, and so was very excited to get going on this one. I was not disappointed. 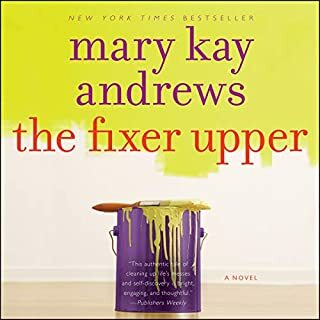 It is not my MOST favorite of hers (Savannah Blues and Savannah Breeze are my faves, also liked The Fixer Upper) but still very fun and had me laughing out loud in parts. It is a little Nancy Drewish but that is ok with me because as a kid I liked those too. If you want lighthearted fun reading with a little bit of suspense thrown in, I reccommend it. 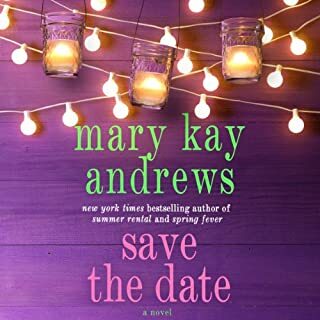 I am a fan of Mary Kay Andrews. I read some of the negative reviews from others but bought the book anyway. I was not disappointed. I read the book while visiting Cape Cod. It was a perfect book for a summer day. I highly recommend it. What a great summer read. The characters were believable and likable. Nice book to listen to while you are walking. Despite the mutual "love fest" at the end of the book (an interview between the author and the narrator) I found this to be about as filling as cotton candy. The story has been done before (yawn) and the narrator makes the characters sound stupid and cliched. Pass on this listen. I don't know why I couldn't get into the beginning of this book. It just didn't capture me. I like the narrator her voice is easy to listen to. I stayed with the book due to enjoy the author, and I am glad I did. It turned into an interesting read, some mystery, some romance, some life changing events, some secrets, all in all I really enjoyed this story. Well, written and well narrated. While I enjoyed this book, I have to say, once again, that books with Southern characters should be read by narrators with genuine honest-to-God Southern accents. It is SO annoying when people try - and fail - to fake it. I found the story started great, and then nothing keeps your interest. Which was a shame because I could have related to the characters. Did not enjoy the narrator. The accent/inflection changed within characters and I found it hard to stay focused and involved in the story, (I spent far too much time trying to figure out who was speaking) The reviews for M.K.A. were so good tho, I tried another, with different Narrator. Savannah Blues was a great listen !! Great book. I listen to my books when I jog, or ride my bike and I couldn't wait to get out each morning. Felt like I was there at the beach. If you are looking for a very light book this is the one. Is a little bit cheesy, but a nice smooth story. A wonderfully captivating, brilliantly narrated audiobook. With breathtaking scenery and a REALLY in depth look at the intricacies of friendship both old and new, this book offered a lovely layering of different storylines which blended together very cleverly and kept you hooked. 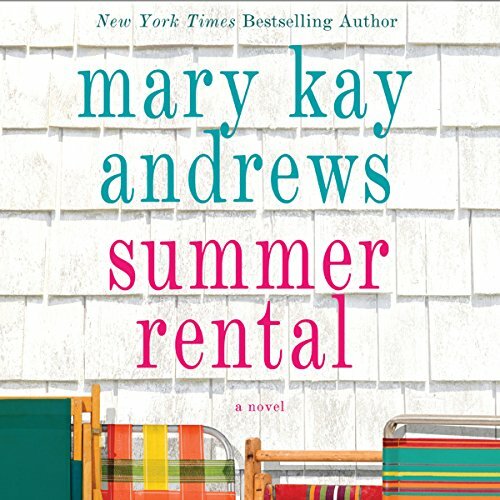 Love Mary Kay Andrews but have only read (or listened to) 3 books so far and will certainly be ordering more. Highly recommended.